(Nanowerk News) GlaxoSmithKline and Ann Arbor-based NanoBio Corporation announced today that they have signed an exclusive over-the-counter licensing agreement for NanoBio's unique nanoemulsion treatment for cold sores in the United States and Canada. James R. Baker, Jr., M.D., director of the Michigan Nanotechnology Institute for Medicine and Biological Sciences at the University of Michigan Medical School, developed nanoemulsions in the 1990s at U-M and founded NanoBio Corporation to further develop and commercialize the technology. Dr. James R. Baker developed nanoemulsions in the 1990s. He is director of the Michigan Nanotechnology Institute for Medicine and Biological Sciences at the University of Michigan. The nanoemulsion technology is patented by U-M and licensed to NanoBio Corporation. Dr. Baker serves as CEO of NanoBio Corporation, where he holds a financial interest. 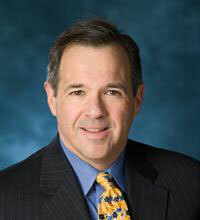 At U-M, he also is the Ruth Dow Doan Professor of Internal Medicine and allergy division chief. "For the university, this agreement between NanoBio and GlaxoSmithKline demonstrates the value of our technology and fulfills our goal of getting the benefits of our research deployed broadly to the general public," says Ken Nisbet, executive director of the U-M Office of Technology Transfer. "We're very proud of the accomplishments of Dr. Baker and the entire NanoBio team." Under the new agreement, New Jersey-based GlaxoSmithKline will pay NanoBio an up-front fee of $14.5 million for licensing rights for the nanoemulsion product called NB-001. NanoBio is eligible to receive additional milestone payments of up to $40 million plus high single-digit royalties on future sales. Nanoemulsions are superfine mixtures of soybean oil and water, stabilized by surfactants and blended at very high speeds so that the resulting droplets are less than 400 nanometers in diameter. Nanoemulsion droplets fuse with a microbe's outer membrane, disrupt the membrane and kill the organism. Baker believes that the GlaxoSmithKline-NanoBio partnership will "enable the development and commercialization of NB-001 to its fullest potential and validates the promise of our proprietary platform technology, and its potential use in a wide range of dermatological and anti-infective applications." NB-001 is the first nanoemulsion therapeutic to complete successful phase 2 clinical trials and will enter phase 3 testing within the next six months. NanoBio is developing other nanoemulsion-based therapies for a range of diseases including fungal infections, acne and molluscum contagiosum.